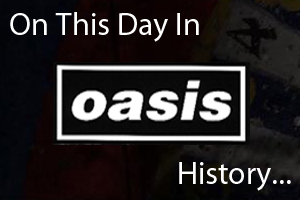 On December 5th 1997 Oasis played the third of three nights at The Point in Dublin, Ireland. Liam Gallagher missed this and the previous night after being diagnosed with a throat infection. Listen to an excellent recording of the gig below. On December 5th 1997, Noel Gallagher appeared on the Late Late Show straight after Oasis' third sold out night at The Point in Dublin. Peggy was also briefly interviewed with members of her family in the audience, watch the interview below.